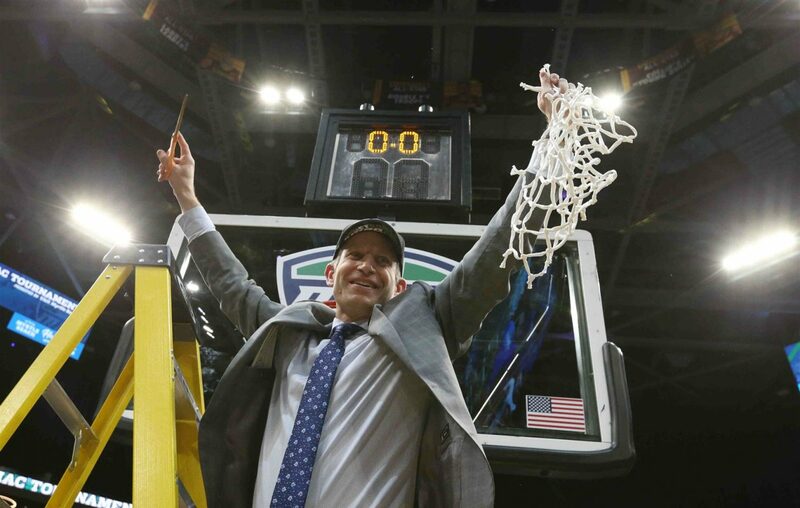 In the hours after the University at Buffalo men's basketball team learned its first destination in the NCAA Tournament, UB coach Nate Oats took a call from his former boss, Arizona State coach Bobby Hurley. There may have been an awkward moment between Hurley and Oats as they acknowledged what could happen in the NCAA Tournament. UB's fourth-year coach could face Hurley, the coach who brought him to Buffalo, when the sixth-seed Bulls (31-3) open the NCAA Tournament at 4 p.m. Friday at the BOK Center in Tulsa, Okla.
"It's not ideal," Oats said Tuesday after UB's practice. "I don't want to coach against him. There's a reason we haven't scheduled any games against each other. It is what it is, but I'd like to see him win. I'm a friend of his. He gave me my shot in this business, I'm loyal to him. I pull for him. Shoot, I helped him with some recruits down there." UB will face either Arizona State or St. John's in the first-round game, but the Bulls won't find out their opponent until Wednesday night. The Sun Devils (22-10) face the Red Storm (21-12) at 9:10 p.m. Wednesday in a First Four game in Dayton, Ohio. The winner of the play-in game will be the 11 seed in the West Region. The Bulls are the six seed. "He doesn't need too much of my help anymore and when he helps me, he helps me," Oats said. "If and when they win, we're both going to try to beat each other, as much as we try to beat anybody else. After the game's over, we go back to being friends."